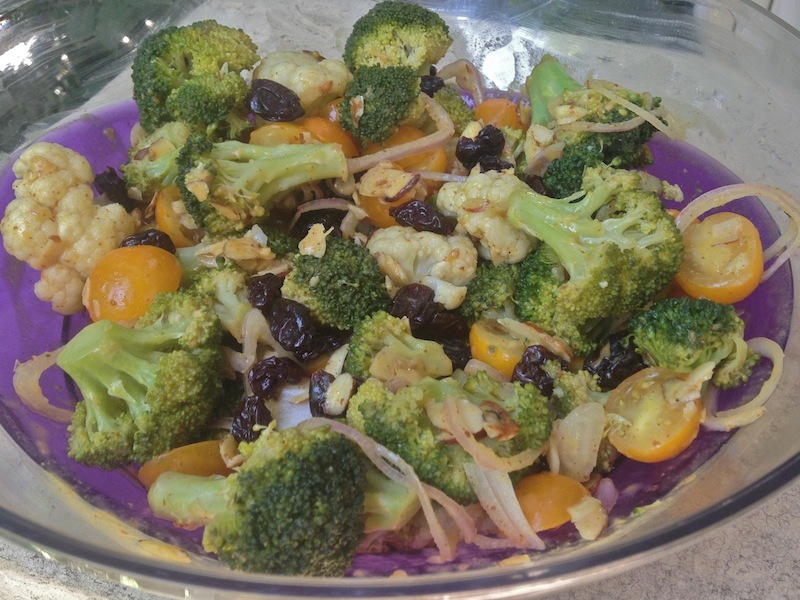 Cherry Mustard Broccoli Salad…OR SIDE! | Keep It Up, David! 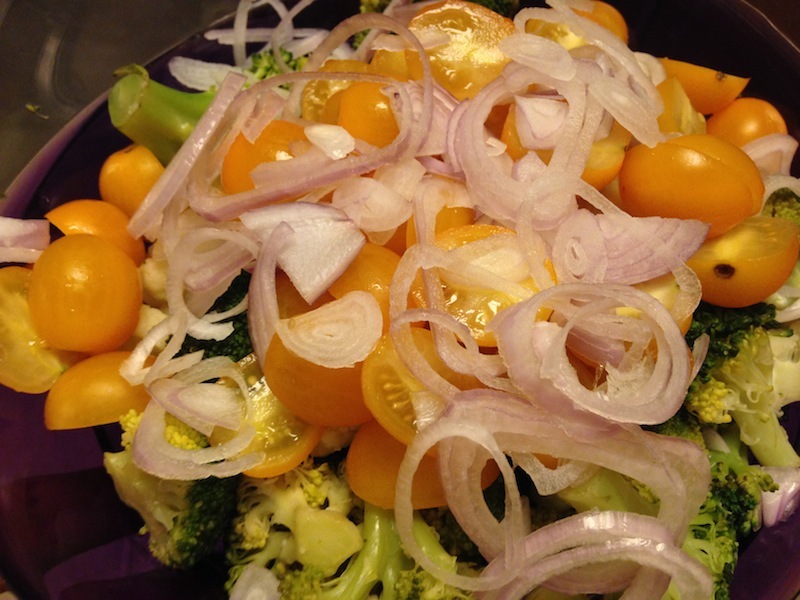 Cherry Mustard Broccoli Salad…OR SIDE! Here’s a good, easy, versatile recipe with lots of wiggle room for substitutions and customization. I used that wiggle room a couple times while putting this together! It’s called Cherry Mustard Broccoli Salad, and it starts with… broccoli. All of you with keen observation skills have noticed that there is also cauliflower in that steamer basket. I was gonna just use broccoli, but the store had pre-washed, pre-cut packages of broccoli AND cauliflower mixed together, so I thought what the hell? The more veggies, the better! 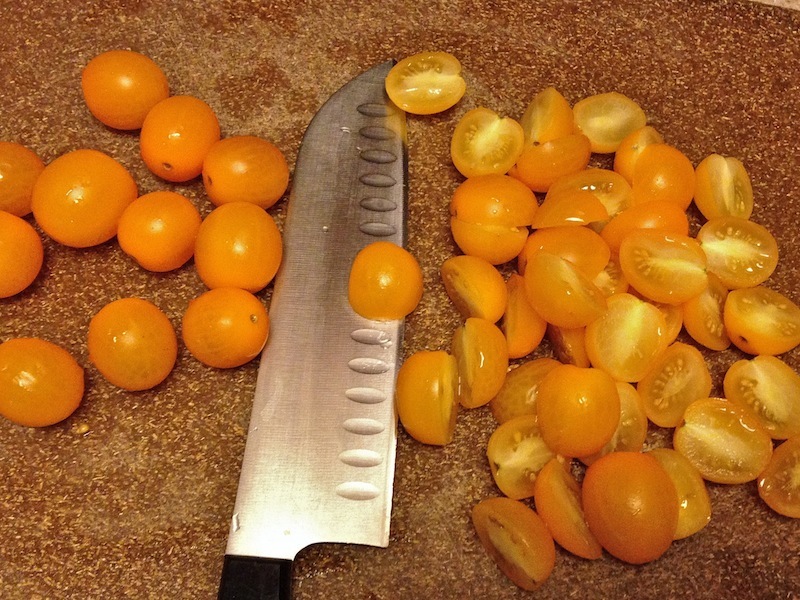 I used two 10-ounce packages, so that’s 1.25 pounds of veggies that I steamed until tender. Then, one whole shallot, as thinly sliced as possible. Now to add the cherries into the Cherry Mustard Broccoli: These are dried cherries I found at the store. I was pleasantly surprised to find them; I was expecting to only find those cherry-flavored dried cranberries. I added about 1/2 a cup. The last dry ingredient, which went accidentally unphotographed, was 1/4 cup slivered almonds. Look! 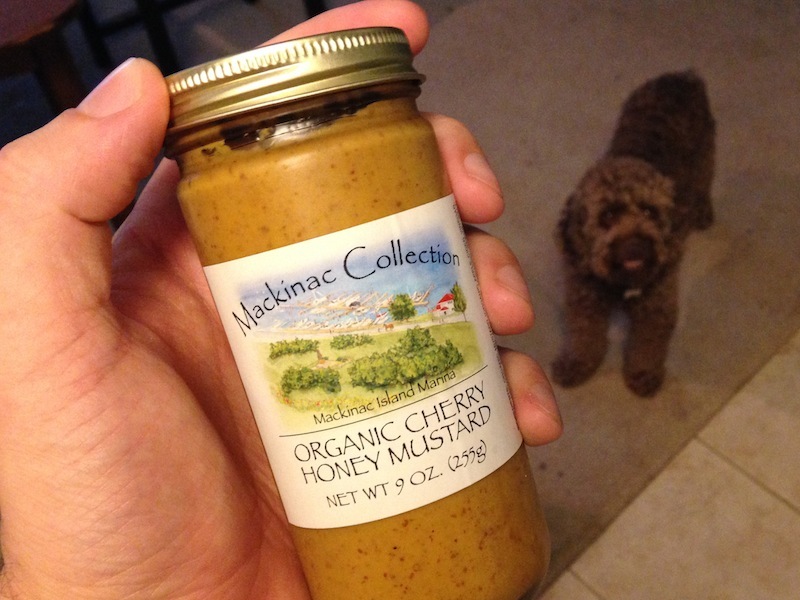 Luna, my temporary roommate, photo-bombed my mustard picture! I picked up this jar when I was on Mackinac Island a few months ago. There are cherry-flavored products all over northern Michigan – cherries are a big crop in that neck of the woods. This mustard is fantastic. I bought it at a great store on Mackinac Island called Little Luxuries of Mackinac – although this particular product doesn’t seem to be for sale on their website. RELATED CONTENT: Peruse Dozens of Recipes on My Recipe Page! What’s that? You don’t have a jar of cherry honey mustard in your pantry? No big whoop. Use your favorite mustard that you have on hand. 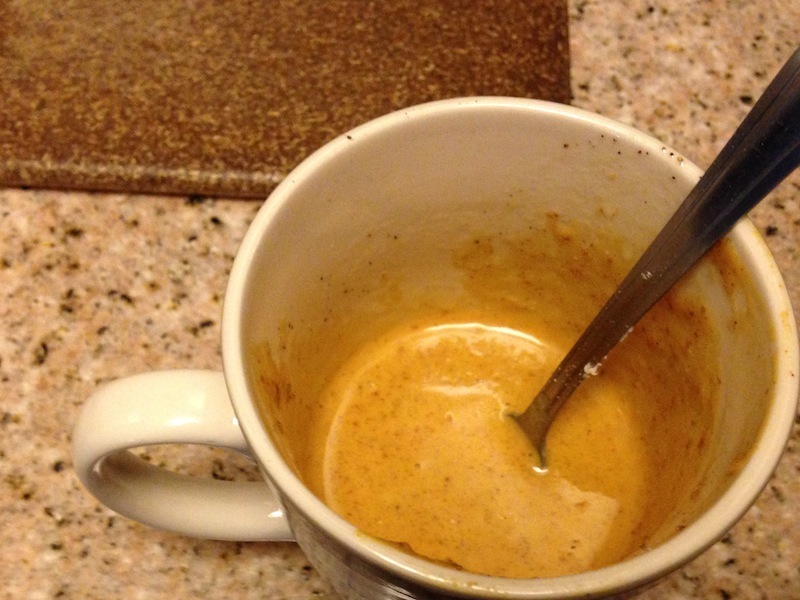 Get a mug or small bowl, and add about 4 heaping tablespoons of it. Add in 2 tablespoons of olive oil, 3 tablespoons of red wine vinegar, and black pepper to taste. Mix it all up, and dressing is done! All that’s left to do is toss it all together. 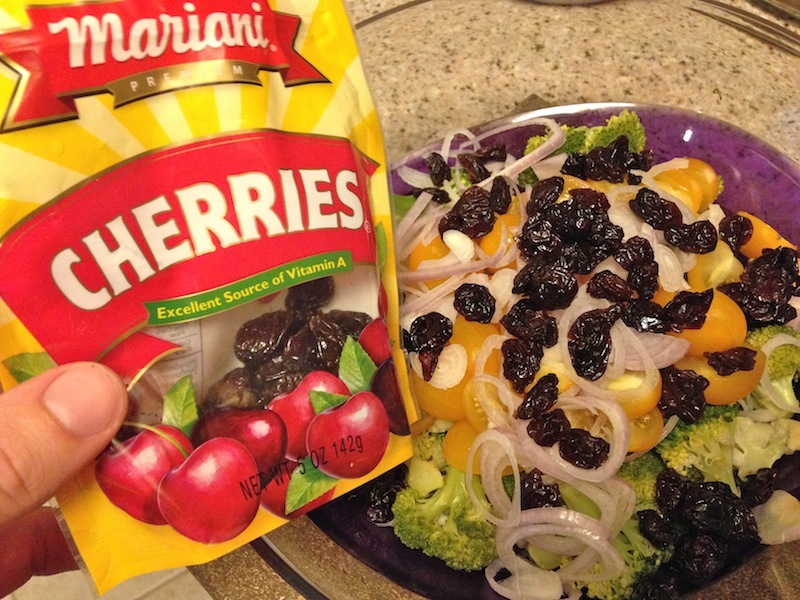 Presenting… Cherry Mustard Broccoli Salad! If you prep the dressing and do your other chopping ahead of time, I see no reason why this can’t be served warm, as a side dish. 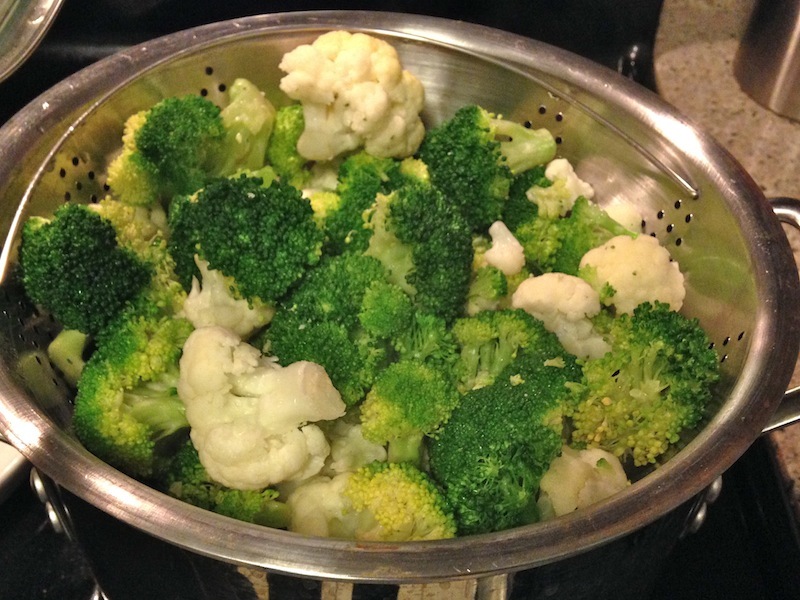 Just have everything ready to go and as soon as the broccoli and cauliflower is done steaming, throw it all together and bring it to the table while the veggies are still hot. I served it room temperature, at a BBQ for the homeowners in my building, and it was a big hit. A little tiny portion came home with me, and I had it for lunch the next day. It was delicious chilled, too. No matter what temperature, this salad works! Mustard and veggies is a favorite combo of mine. A couple years ago, I went on a little kick, and the end results were these recipes for Dijon Green Beans and Dijon Brussels Sprouts. Happy to add another veggie variation on that theme, cause, like its culinary cousins, this recipe is simple, healthy, and a crowd-pleaser. This entry was posted on Thursday, September 25th, 2014 at 12:01 am and is filed under Uncategorized. You can follow any responses to this entry through the RSS 2.0 feed. You can leave a response, or trackback from your own site.